In London 94 per cent of schools are currently judged to be good or outstanding by Ofsted, the highest percentage of any region in England. Last year London’s schools helped pupils to achieve 60.9 per cent five A* to C GCSEs including Maths and English, the highest rate for any region and above the national average of 57.3 per cent. 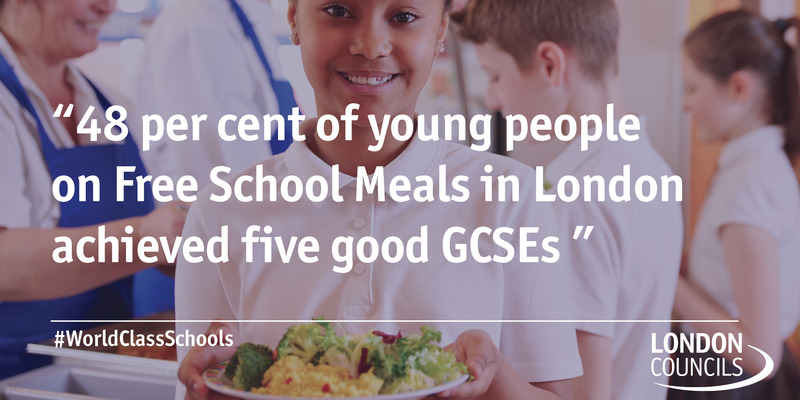 London has the highest attaining cohort of pupils on Free School Meals in the country – 48 per cent of young people on FSM in London achieved five good GCSEs as opposed to only 36.8 per cent of the same group nationally. Around 50 per cent of headteachers in London are approaching retirement. Schools must act now to ensure teachers in senior leadership roles are ready to become headteachers. Living costs are higher in London. One example of this is private sector rents, which are more than twice the national average according to the Valuation Office Agency. Schools are therefore under pressure to ensure salaries reflect this reality.